Only 2-3 hours drive north of Johannesburg and Pretoria, the magic 14,500 sq km (5,600 sq mile), the Waterberg mountain range in Limpopo Province has become a hugely popular playground for city dwellers, but it is a secret that South Africa has yet to share with the rest of the world. In 2001, 6540 sq km (2,525 sq miles) of the Waterberg were declared a UNESCO Biosphere. In 2011, the South Africans applied to have it rezoned and the area incorporated in the Biosphere increased to 1,728 sq km (667 sq miles). These incredibly ancient hills (about one thousand nine hundred million years old) are extraordinarily rich in plant and animal life, with around 2015 plant species, 129 species of mammal, and 350 species of bird including the world’s largest colony of Cape vultures, with 900 breeding pairs. This is also the world’s only savannah biosphere. But this is no normal national park with boundaries and rangers. Much of is covered by a network of private game ranches and hunting reserves. Be careful when booking that you don’t inadvertently end up at a hunting lodge if you are hoping for photos – you won’t get near the animals who are understandably nervous of people! The biggest of the gameviewing reserves are 39,000 ha/139 sq mile Welgevonden which is famous for its white rhino, and also has rare brown hyena, sable, pangolin, and aardvarks. Marakele is home to the Cape vultures but is also a plant paradise, filled with tree ferns and cycads, giant yellowwoods and cedars. My particular favourite is 22,000 ha/54,363 acre Entabeni, a Big Five reserve with stunning scenery. I still smile every time I remember waking up to see the mist rising through the dawn over the lake, the cliff in the background and a giraffe rocking slowly past my window. Paradise. Mixed in with the reserves are working farms and villages with the occasional golf course and spa thrown in for good measure and you can go riding, hiking and even hot air ballooning. The area is also rich in archaeological sites and San rock art and there are numerous community projects from village tours to hiking trails. 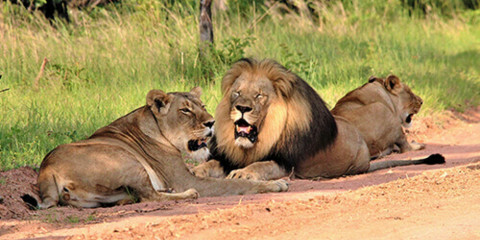 These added attractions have all been banded together in the 350 km/217 mile Waterberg Meander. Found in Limpopo Province, the Waterberg region’s varied scenery and topography includes broad rolling hills, magnificent red sandstone cliffs, perennial rivers, open plains and savannas. Since 2001, a large tract of this ancient landscape has been demarcated as a UNESCO Biosphere. 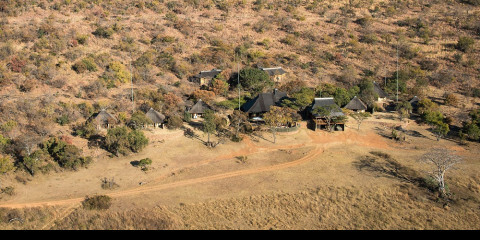 A number of exclusive private game reserves have blossomed in this area that was not-so-long-ago dominated by farming; often multiple farms have knocked down their fences and been incorporated into a single reserve, as is the case with Welgevonden, the biggest Big 5 reserve in this still underexplored region. For me, the traces of Welgevonden’s farming history slightly undermine its claims to be an “African wilderness reborn”, but it’s a very pretty reserve nonetheless. There are a number of excellent luxury lodges and the Big 5 are all here, including one of South Africa’s highest densities of white rhino. Kololo Game Reserve and the unfailingly welcoming Ant Collection are great options for families and only have “safe” game, so they’re also good spots for bush walks, cycling and horseback trails, while the latter offers the rare and surreal experience of sundowners with habituated white rhinos. The Waterberg Biosphere Reserve is wide basin of bushveld and rivers ringed by dramatic escarpments. It’s a magical part of South Africa with a rare wilderness quality and home to some of its most charismatic and sought-after wildlife. Large farms are taking down adjoining fences giving animals greater free-range and game lodges are mushrooming; thanks to additional re-stocking of large mammals, many are now home to the Big Five. Lion, elephant, black and white rhino, leopard and buffalo are all resident, and there are more than 300 bird species to be spotted. 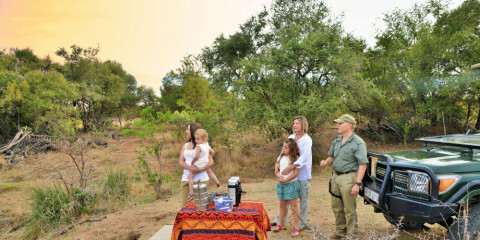 It’s yet to be fully discovered, but safari-goers will be surprised at its diversity and excellent facilities (some of the lodges are super-luxurious and offer a range of activities). 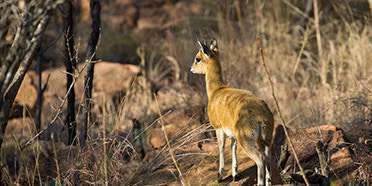 It’s well away from the traditionally popular, often too busy, safari circuits, and conveniently only a few hours’ drive or short flight from Johannesburg.